A great way to customize any of our favors! 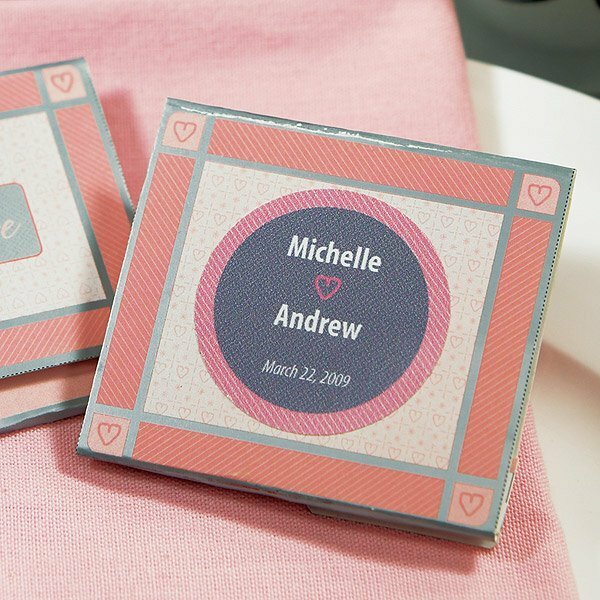 These pink and gray stickers are personalized with 3 lines of text with a heart design between the 1st and 2nd lines. They coordinate perfectly with our Filed Under Love nail file favors (sold separately). Min order is 36 stickers.